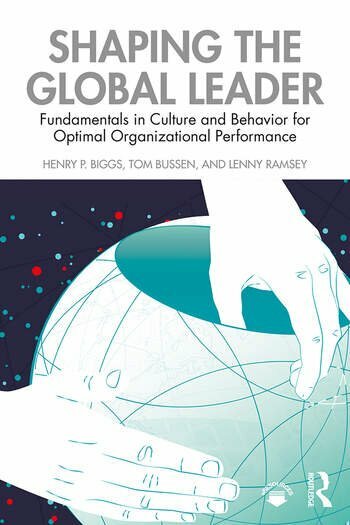 Considering behavioral norms in their cultural contexts, this book arrives at a fully operational international leadership theory – and makes it accessible to academic and professional readers alike. Shaping the Global Leader fundamentally covers eight cultural dimensions gleaned from acclaimed international leadership scholars such as Geert Hofstede and the GLOBE study authors. Each cultural dimension is followed by interviews of renowned organizational leaders who relate their experiences in that area and each section underscores strategies for moving forward. The authors highlight critical lessons from classic behavioral psychology experiments and apply these findings to the international organizational context. This book serves as an eminently readable and enlightening handbook for those working, leading or studying interculturally. Both students and professionals in international leadership or business will be provided with clear and actionable organizational insights for an increasingly complex global landscape. Dr. Henry Biggs currently serves as CEO of Course Scheduling, President of Eusabian Technologies and General Counsel of Incentilock—all of which are software development companies with business in US, Europe and Asia. He was formerly Associate Dean of the College of Arts and Sciences at Washington University in St. Louis where he taught International Leadership with co-author Lenny Ramsey. He is a dual citizen of the US and Italy and currently resides in Paris, France. Tom Bussen, JD, MBA is former Assistant Professor of Business at American University of Central Asia, Bishkek, Kyrgyzstan where he taught courses in Leadership, International Business and Ethics. Dr. Lenny Ramsey is Assistant Professor of Physical Therapy at Carroll University. She earned her PhD in Neuroscience through the McDonnell International Students Academy at Washington University in St Louis, where she taught international leadership with Biggs. She is a Dutch national.